Golden berry (Physalis peruviana) it not a true berry. 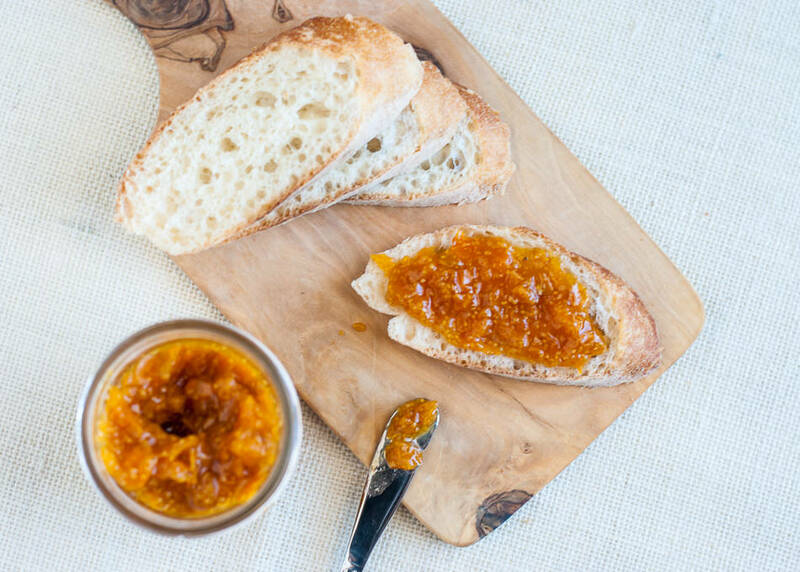 Instead, golden berries came from the tomato family, and closely related to the ground tomato known as tomatillo. Tomatoes are nightshades, a large group of plants that also includes potatoes, eggplants, and golden berries. "Golden berries are making their way in to American health food stores as the newest super food." These beautiful little fruits are native to the Andes of South America where they grow profusely. They especially like to trail among rows of native corn where little children pick them to supplement family nutrition. When ripe, the outer shell is discarded and only the bright yellow-orange fruit is eaten. They taste moderately sweet, with a slight citrusy tang. Golden berries only have about 53 calories per 100 grams, the amount of a typical serving. They contain vitamins A, C, E, K1, B1, B2, and B3, as well as fatty acids and phytosterols. 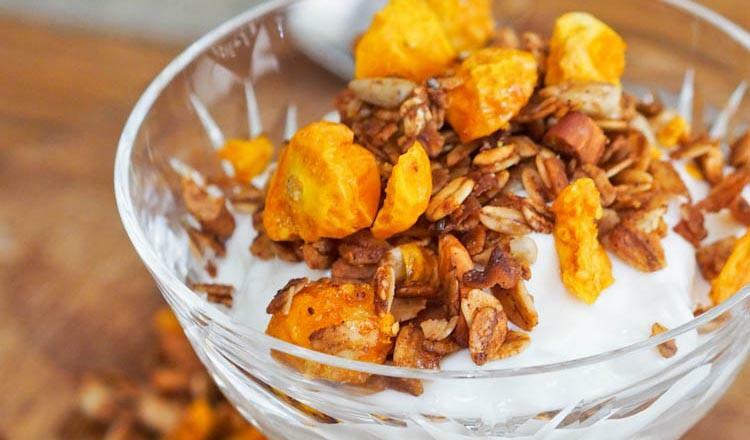 Traces of calcium and iron, plus other minerals, are also found in golden berries. This unique fruit has specialized antioxidants including polyphenols and carotenoids, qualifying it as a super food useful for their anti-inflammatory and other healing qualities. Research has found use of golden berry extract in cancer, diabetes, and hypertension. The berries also have liver and kidney protective properties. 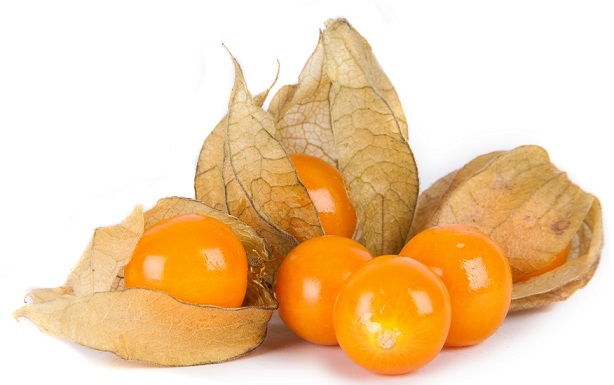 A recent study found golden berry extract improved kidney function after renal injury. Apparently, their unique antioxidant power is the key to their healing value. The primary compound in golden berries that seem to do the healing are a group of naturally occurring steroidal lactones called “withanolides.” The entire plant, not just the fruit, contains withanolides. Four main withanolides have been isolated from the plant, along with the discovery of nine previously unknown withanolides. Withanolides are also what gives Ashwagandha its value as an adaptogenic healing plant. Considerable research has been conducted on Ashwagandha, often termed Indian ginseng, because of its benefits to the endocrine system. The withanolides in golden berries are considered to have similar effects including anticancer benefits. Though beating cancer with plants alone is controversial, those like golden berries that contain withanolides can be useful in adjunctive therapy. Research suggests that the powerful inflammatory cytokine tumor necrosis factor alpha is suppressed in the presence of withanolides. This suppressing effect turns on genes that enhance cancer cell death, called “apoptosis.” They also help prevent metastasis—the spreading of cancer throughout the body. 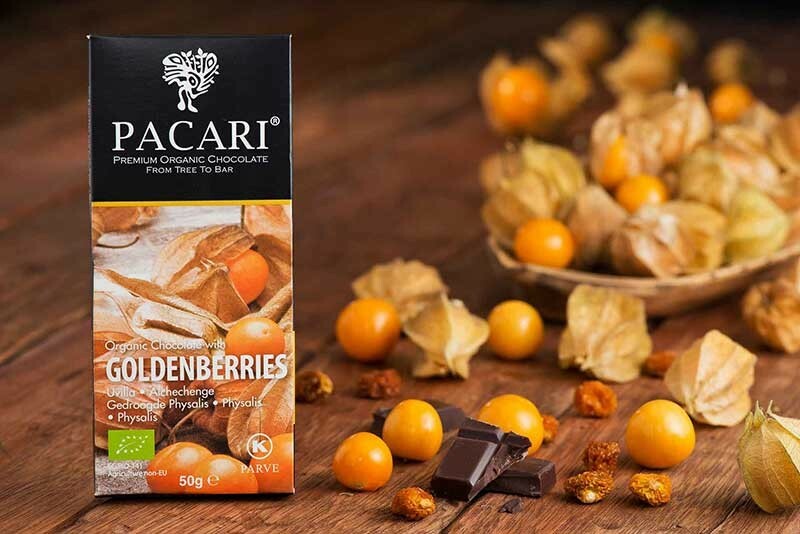 Golden berries with their high antioxidant value and low sugar content can play a role in low calorie and diabetic diets and products. Their nutrient value adds benefits to salads, yogurt, and cooked dishes. Though essential fatty acids only make up 2% of the fruit, the oil content is mostly linoleic acid. Its low saturated acid and high phytosterol content make it useful for those on cholesterol- and triglyceride-lowering diets. The natural sugar content is mainly sucrose. It is very low in fructose, and with only 0.5% sucrose, it’s a tasty source of nutrition while on weight loss diets. Like many Amazonian and Andean plant foods, golden berries are loaded with vitamin C. There is more vitamin C in this exotic fruit than in pears, pineapples, or plums, and only slightly less than citrus fruits. 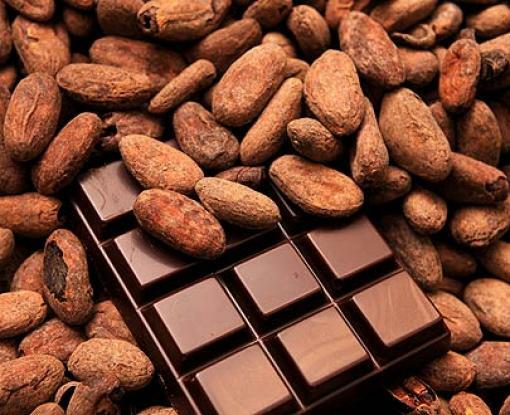 To learn more about Dark Chocolate & Health, CLICK HERE.